Manufactured at the CCI facility in Lewiston, Idaho, Blazer Brass is built to SAAMI specs and manufactured under stringent ISO certified quality systems. 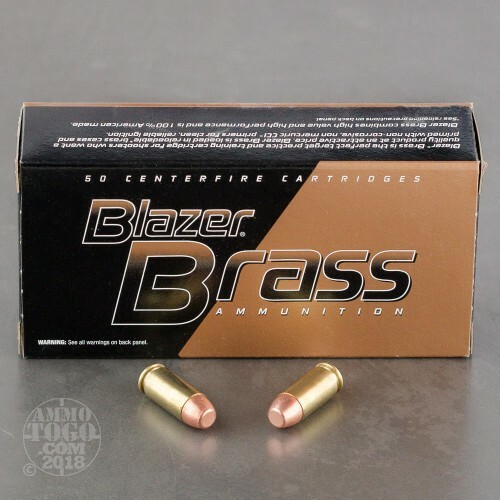 Blazer Brass ammo provides an economical option for target practice and tactical training without compromising quality or reliability. 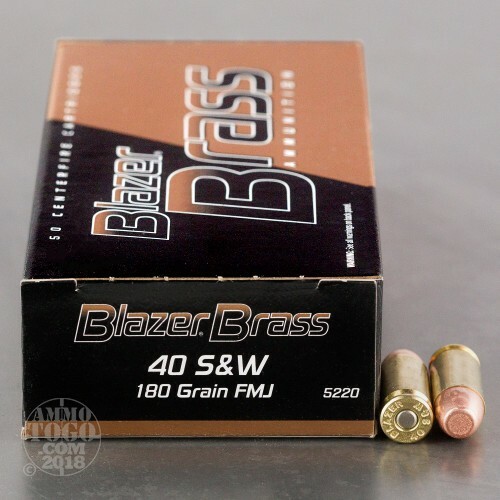 This package contains 50 rounds of Blazer Brass .40 Smith & Wesson ammunition. Each cartridge is loaded with a 180 grain protected base full metal jacket (FMJ) projectile. 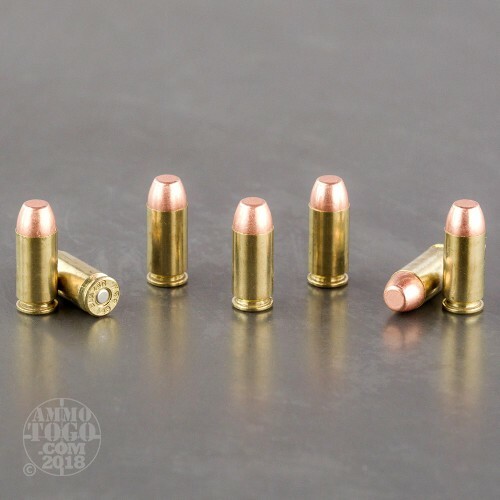 Delivering minimal terminal expansion, these rounds are best suited for target shooting, tactical practice, and casual backyard plinking. 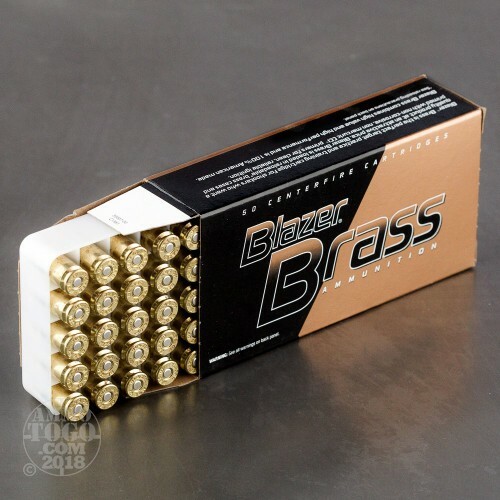 This ammunition is factory fresh, non-corrosive, brass cased, and features CCI’s clean-burning propellants. Each round produces a consistent muzzle velocity of 985 feet per second and a muzzle energy of 388 foot pounds. Bought 200 rds for a family shoot on a recent weekend. Used all in 2 guns: Glock 40 cal and an H&K. No jams or misfires, performed perfectly. Very cost competitive from ATG, thanks!